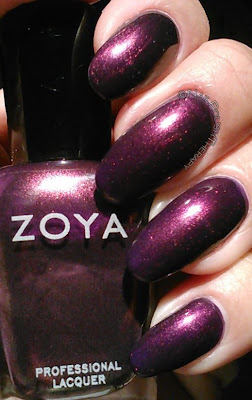 Nail Polish Zoya Yasmeen, Many of you know that I have no set schedule for blogging but I try and post at few entries at a time to make up for absence. I'm also employed full time and pursuing my Masters so as much as I would like to blog more I can't. I also think I'm going to start to make my posts shorter and to the point. So in the effort of brevity I will still to the point and not bore you with my exploits and nail polish hauls. If you have any questions about the polish I've used that I didn't address in the post, please feel free to comment or email me. 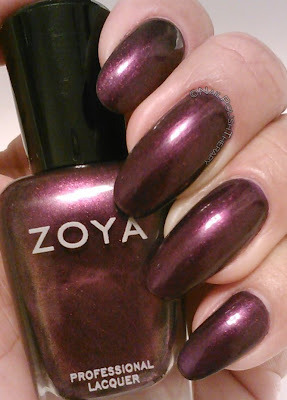 Without further adieu: here is Zoya Yasmeen. This was on my wishlist for some time and I was glad to finally get it. 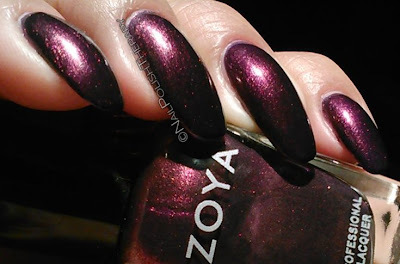 Its a gorgeous deep purple/plum color with the slightest gold microshimmer. Easily went on in 2 coats for full opacity and and excellent formula.